“What we want is for people to get as informed as they can be, and then to make an informed decision,” said Superintendent Jeff Schwiebert when talking about the upcoming Levy for Learning. The Levy for Learning is basically another name for an operational levy to allow the district to keep buildings in operation. “Our position is to get as much information as possible into the hands of the public so they know what is going on and can make a decision as to what they want us to do,” Schwiebert added. Getting the word out is crucial and that is why the district scheduled information meetings for the public. Asked whether there had been any resistance thus far, Schwiebert said he would be the last one who should be asked that question. Being optimistic, he is all about explaining to people why there is a need for the levy. With five presentations under his belt and five more scheduled, Schwiebert said some people have forgotten the need for the levy was explained when the board proposed the new school. Residents will vote Nov. 6 on a referendum that will increase funding from about $324 per student each year to $760. If approved, the $435 increase will provide about $17 million to $18 million during the next 10 years. If the referendum is approved the district will get a maximum number of dollars from the state to help fund education, and that is why we asked for the amount we did, Schwiebert explained. It’s called levy equalization. Of the $760, taxpayers in Sartell will only pay a percentage of that amount with the state picking up the rest of the cost. There is a foundation formula in Minnesota that puts about $6,300 on the table for each student in the district. That money covers most of the general classroom costs, Schwiebert explained. Usually it’s referred to as the general fund. The district can also go out and ask for a building levy and an operational levy. Some districts also ask for a technology levy which is used to fund upgrades in technology such as new computers, printers and other areas that rely heavily on technology. All of these levies rely on the property tax. 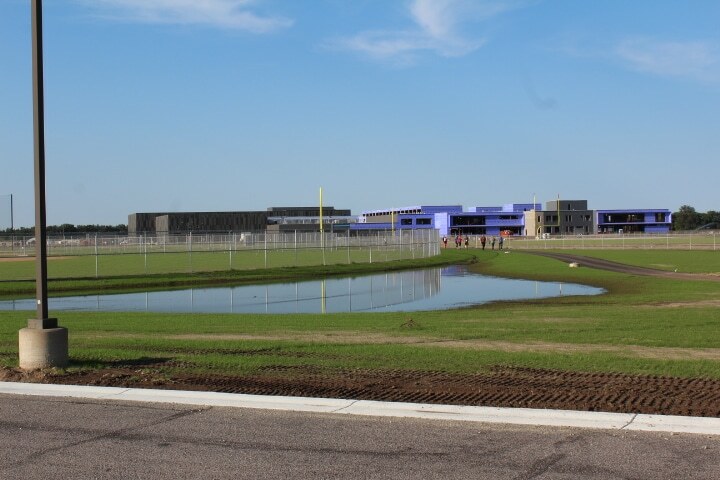 Voters passed the building levy when they OKd the building of the new high school, but until the new school is completed and operational, there is no need for funds to operate it. That is why the district said they would comeback to the voters after completion for funds to operate and maintain the buildings in the district. At present the district is operating its buildings on about $324 per student. Upgrades and the addition of a building the size of the new high school will necessitate an increase in funding which amounts to about $435 more per student for a total of $760. When the foundation money from the state ($6,300) and the money from the property-tax building levy, and the operational levy (assuming it passes) are added together, it amounts to about $9,300 per student. That will be the approximate cost of educating a child in Sartell in the coming years. The state uses a three-tiered formula to determine how much funding they will provide. Part of that funding is based on the land value within the district. The various types of land – farm land, forest land, developed commercial property and others – are all taxed at different rates depending on the value of it. Right now, land value in the district has been determined to be about $1.5 billion. That amount is divided by the number of students in the district (about 4,400). After applying the state’s formula, the amount contributed by each party is determined. Sartell does not have a lot of industry even though it does have a large residential population. A larger commercial base would probably help reduce the the cost to homeowners in the district, but it might also result in less state aid to the district.